At the end of the Gawker Media bankruptcy process, Gawker founder Nick Denton will have surrendered control of all of his websites. But there's a chance he will wind up regaining control of the blog where it all began, Gawker.com. Denton has talked with associates about potentially trying to buy Gawker.com back from whatever company acquires it, sources confirmed to CNNMoney. Then he could run it on its own. This idea comes with several "ifs" -- it is dependent on Denton prevailing in the appeal of Hulk Hogan's ongoing lawsuit against Gawker. But the private conversations lend insight into a possible outcome of the bankruptcy proceedings. A buy-back of Gawker.com would be a poetic ending for the former Financial Times journalist and entrepreneur who launched Gawker in 2002. The blog originally devoted itself to Manhattan media gossip. Gawker gradually expanded, spinning off separate blogs like Jezebel and Gizmodo, and broadened its scope to cover politics, culture and other subject matter. Gawker Media, the umbrella company, now includes seven main sites and some other assets. The company is on the hook for as much as $140 million in an invasion of privacy suit filed by Hogan and financed by billionaire Peter Thiel. According to legal filings, Gawker doesn't have the funds to pay the judgment or a $50 million bond. On Friday, the company filed for bankruptcy protection in a bid to stop Hogan from seizing its assets. This summer a bankruptcy judge will oversee an auction of the company's assets. The initial bidder is Ziff Davis, which is bidding between $90 million and $100 million, according to sources. The auction will likely take place "at the end of July," Ziff Davis CEO Vivek Shah wrote in an internal memo. Other companies will likely place competing bids. "In the event we become the acquirer, the additions of Gizmodo, Lifehacker and Kotaku would fortify our position in consumer tech and gaming," Shah wrote. "With the addition of Jalopnik, Deadspin and Jezebel, we would broaden our position as a lifestyle publisher." There's one title he didn't mention: the original one, the target of Hogan's ire, Gawker.com. Gawker executives have previously acknowledged that the flagship site is not a primary source of revenue. Advertisers have been much more interested in Gizmodo and the other titles. And some observers believe Gawker.com is permanently stained by the Hogan scandal and other controversial stories in the site's past. Denton has publicly expressed regret for some of those. But he has firmly defended Gawker.com's role as a home for provocative scoops and essays. "We've published nearly a million posts. A few may miss the mark. But here's the impact Gawker has at its best," he tweeted last week, linking to a greatest hits list. If a company like Ziff Davis doesn't want Gawker.com -- and might intend to shut it down -- Denton "intends to buy it back," one of Denton's friends said Friday. Right now Denton doesn't have the money for it. 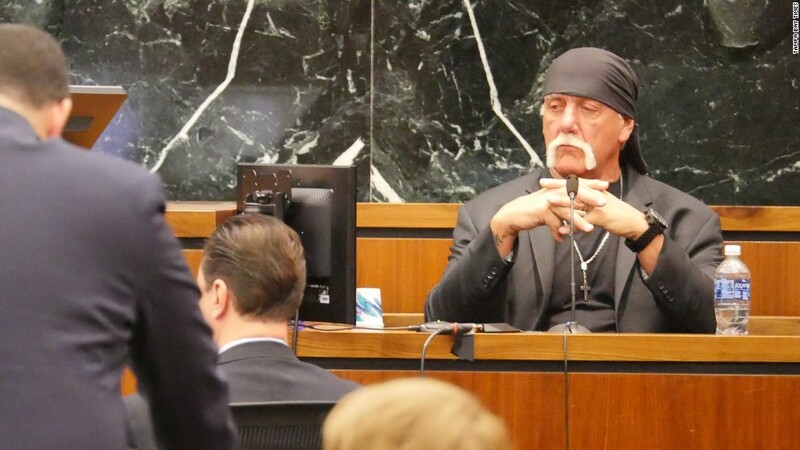 But he continues to believe that he and Gawker Media will eventually prevail against Hogan through the appeals process. If the courts side with Gawker, and if a new owner takes control of the company, and if that owner wants to shed Gawker.com, Denton could try to buy it back. At that point, he'll have tens of millions of dollars from the Gawker Media sale. Reached via Gchat, traditionally his favorite medium for talking with reporters, Denton declined to comment on the possibility.